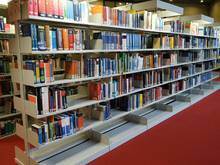 Information about the Branch "TB Bremerhaven"
Whether reading books in a cozy corner, working on homework in a quiet ato msphere or browsing in the database to search for new information sources – all of these are possible in the library at the University of Applied Sciences Bremerhaven. 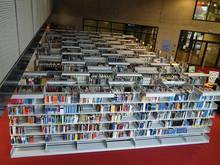 Lots of students are quite surprised when they learn what the library offers. Not only are the students provided with approximately 70,000 books in various fields and 120 journals, but also they have access to more than 400,000 E-books. For students who are willing to know how E-Books, E- Journals, professional database and literature administration program work, we also organize trainings. The SuUB allows the free use of all eBooks of the Wiley-Online-Library in the campus network of the University and the Universities of Applied Sciences in the State of Bremen for another year (as of Jan. 2018). Energy - Industrial process engineering - Mechanical engineering - Economics and management - Safety management - Materials science - Food research and technology. An overview of the available eBooks from Wiley can be found here. The loan period has almost expired and the borrowed books are not yet worked through? No problem: Here's the loan extension for borrowed media. Details of the Traning / Workshop in German. Important note for all new students and staff! Here you can apply for your library card!